Join us on Sunday, March 3rd, 2019 from 11-2 pm at the Big Lake High School. The Community Fair has been renamed from Vendor Fair to reflect the many activities that are available at this event such as the business and non-profit booths, youth performances, bounce house, petting zoo, free food samples, and more! Registrations and payments received by Tuesday, February 5th receive a $20 Early Bird Discount! Booth registrations are available here. 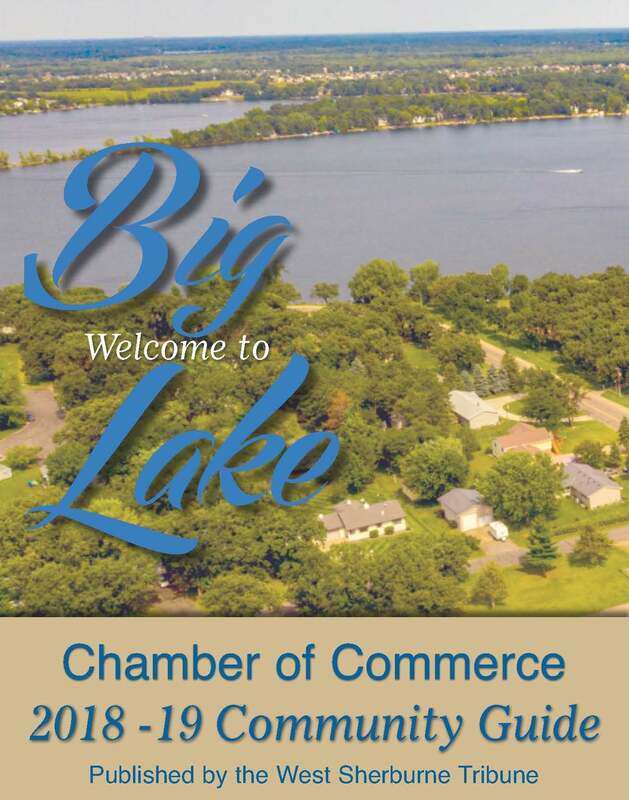 The 2018-2019 Big Lake Community Guide is here! The newest edition of the popular, local magazine is jam-packed with info about local events and businesses! Stop at the Chamber Office and grab an issue today. Click the link below to view the online version.Click here! 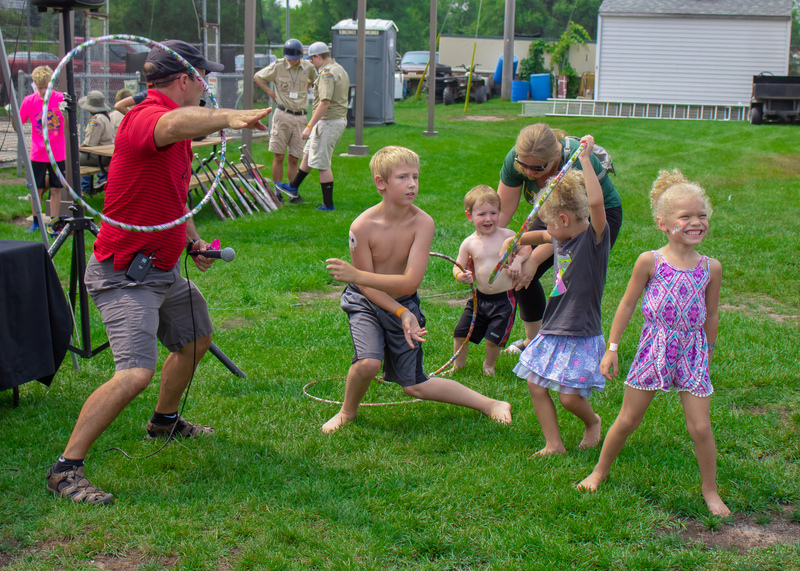 2018 Big Lake Block Party was a great success on August 18th at McPete's Sports Bar and Lanes! Over 150 youth and families bowled, batted, mini-golfed and danced! Is your business expanding, relocating, having an anniversary, or opening for the first time? Make this moment for your business special by hosting a Ribbon Cutting or Ground Breaking Ceremony through the Chamber. For more information on how to host a Ribbon Cutting, click the link below. 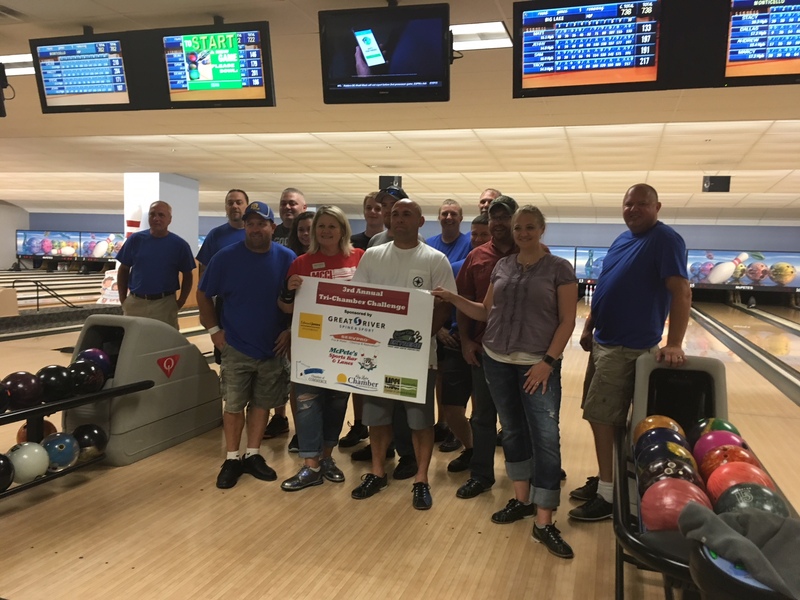 Great job Big Lake Chamber of Commerce Bowlers! For the third year in a row, Big Lake brought home the Tri Chamber Bowl Off trophy. A huge thank you to Dave Miskowic, Sam Olson, Matt Pantze, Jenny Schwab, Troy Schwab, Dewey Somerdorf, Jeff Stang, and Sean Workman for bowling. Another big thank you to our sponsors who supplied the t-shirts: Edward Jones, and Great River Spine & Sport! The Big Lake Chamber of Commerce is located in Big Lake, Minnesota off of Highway 10. We are a non-profit membership organization that exists to help the local business community thrive. Whether your business is large or small, we are here to help you through various networking, marketing, and learning opportunities. 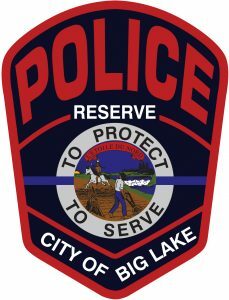 Our Mission: We are committed to the success of the Big Lake Business Community through information, communication, cooperation, and support for all. Our Membership Directory is full of businesses in the Big Lake area that provide a number of services and goods to the community. Check out our local events calendar to find fun things to do in the area for all ages. Register for upcoming Membership Meetings right on the website! There is no charge but please to help our host plan for a great event! Register here! Welcome our newest member, Dan's of Big Lake. 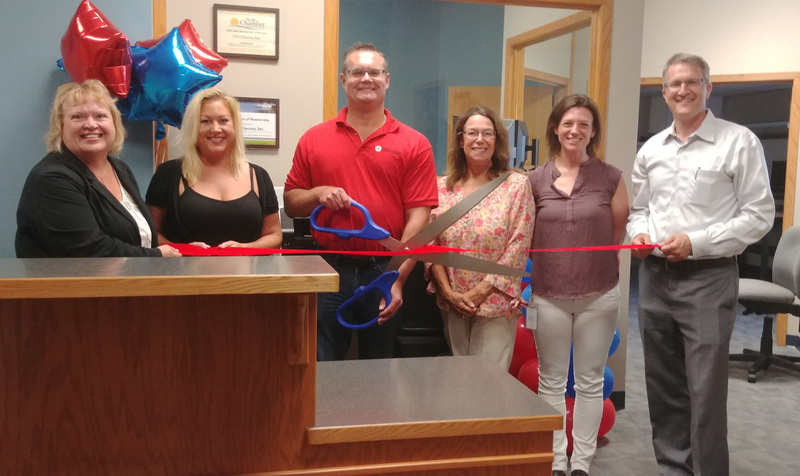 Owners Dan and Stacy Minor joined the Chamber last month at the suggestion of Chamber Board member Allen Snegoski of Sherburne State Bank.. Opened in 2000, Dan’s offers “great value & low cost” with top quality, pre-owned cars, pickups & SUVs. Their certified mechanic checks out each vehicle they buy to ensure customer satisfaction. Their lot includes many late-model vehicles with remaining factory warranty! Sons Jacob and Luke both sell while Jacob oversees vehicle maintenance and Luke manages inventory and keeps the website current. 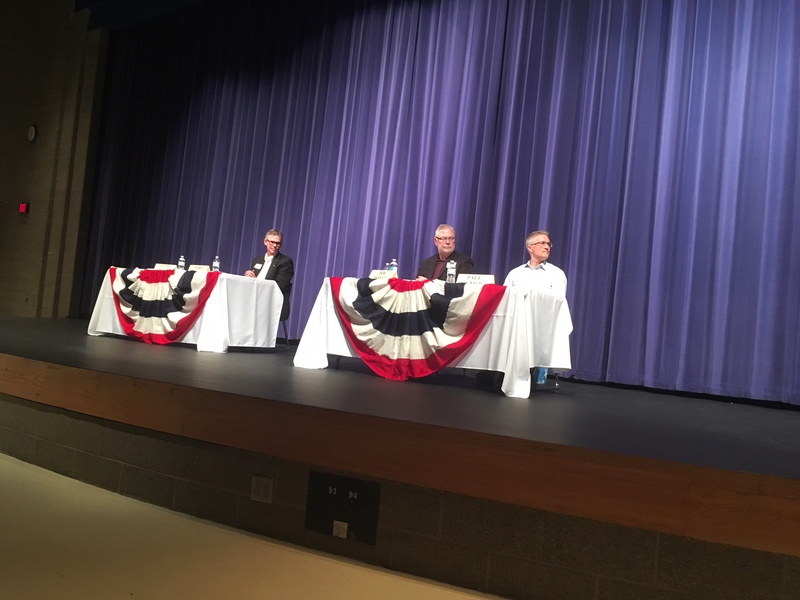 Around 80 voters and area citizens listened to 14 candidates for local, state & national political offices on Monday, October 22nd at the Big Lake High School Auditorium. Dr. George Wallin, treasurer of Big Eagle Lake Improvement Association moderated the forum. Photo above is Mike Wallen, Joe Doyle and Paul Knier listening to Dr. Wallin's next question for them. We thank Sherburne Wright Cable Commission for providing this video. The order of the panels are: US Congressional District 6, Big Lake City Council, Sherburne County Commission District 2, Big Lake School Board, MN House of Representatives 30A, and Sherburne County Auditor/Treasurer. Join us on Tuesday, April 30th from 11:45-1 pm as non-profit members share their story about their mission, programs and needs with the business community. 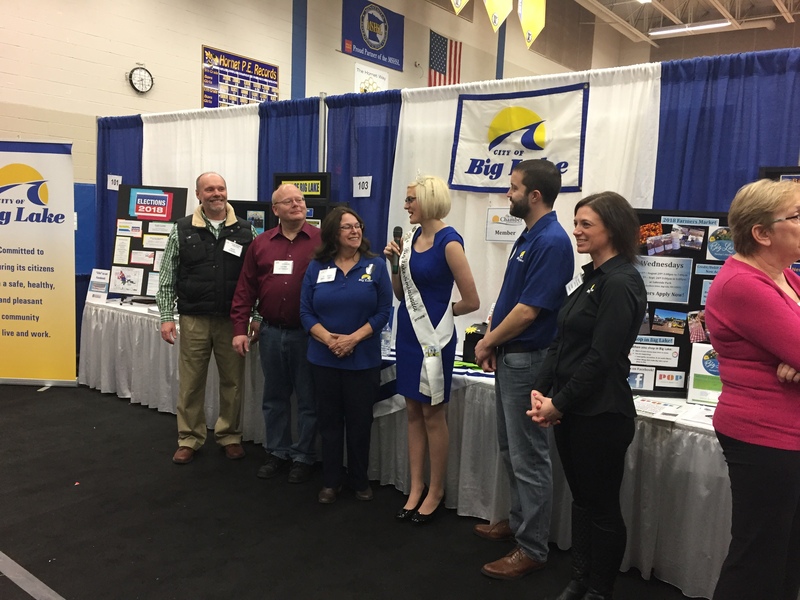 Confirmed speakers include Big Lake Public Library, Big Lake Spud Fest; CentraCare-Big Lake; CentraCare-Monticello; CentraCare St. Benedict's Senior Community; Friends of Sherburne National Wildlife Refuge; Guardian Angels; Legacy Foundation of Big Lake; Options, Inc; and Wright Technical School. 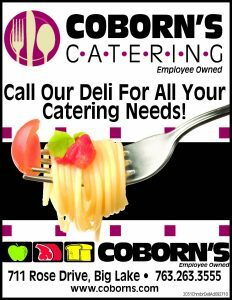 A buffet of wild rice hotdish, tator tot hot dish California blend vegetables (broccoli, cauliflower carrot), cole slaw, garden salad, and dinner roll will be catered by Coborn's for $15. Please register by Friday afternoon, April 26th.